Our building project was due to finish in mid July. It’s now late November and the work continues, over time and over budget. Although the end is in sight, the job may or may not be completed before Christmas. Early excitement and expectation has long since faded into disillusionment and irritation, but by next weekend we should have two newly carpeted bedrooms and a smart shower room (albeit without running water or heating). Our new spaces may have to remain unfurnished for now, but the construction work will be finished; and not a moment too soon. The house is cold, draughty and dusty, which does not make for comfortable living or a very Merry Christmas. The final frontier is the ‘breakthrough’ between the old dining room and new library, which will be opened up in the next few weeks. This will doubtless create vast amounts of dust. Once that’s been swept-up the house will be habitable again. I have visions of enjoying a large glass of Madeira, reclining before a roaring fire, the Christmas tree twinkling in one corner of the room and carols playing on the stereo. I am holding this image in my mind’s eye, in the vain hope it might actually come to pass. Visitors to the garden over the summer expressed a healthy interest in how the library would take shape. Until now I have been loath to share any photographs lest you think the whole project doomed, but now it is recognisable as a library, I’m content to post a preview. 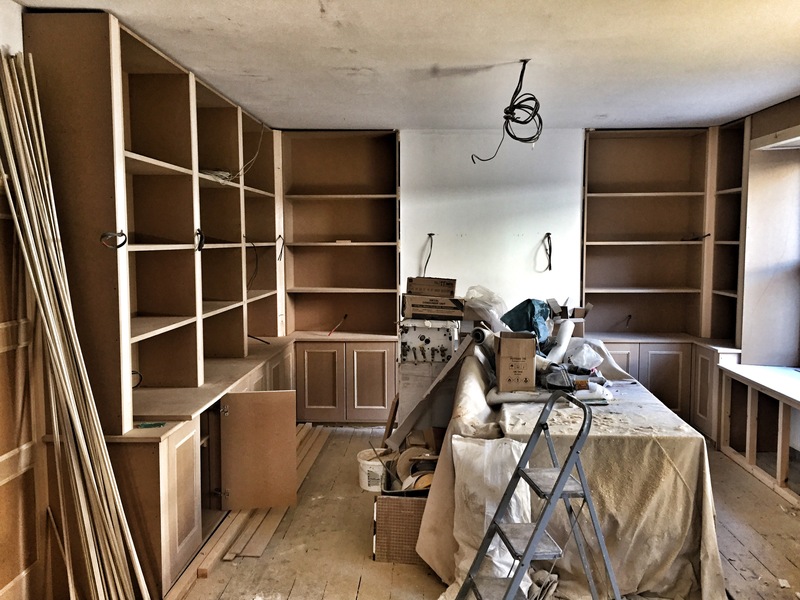 In fairness the carpenters have been working like demons, building shelves, cupboards and sections of panelling in their workshop before installing them on site. They have followed my design drawings to the letter, only making changes where they have spotted a better solution. 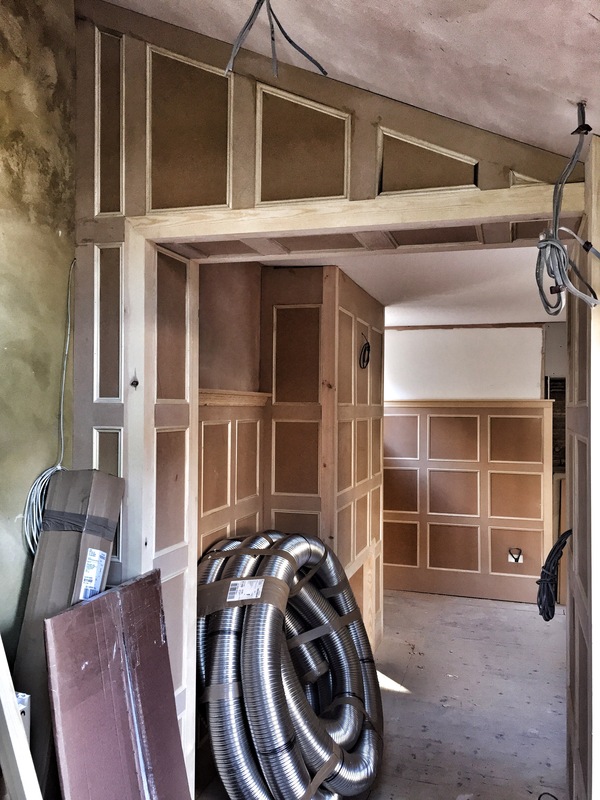 Every inch of the walls and ceiling will be painted, so we settled on MDF and pine rather than using more exotic, expensive, environmentally sensitive timbers. The panelling is false, but very nicely done, and certainly good enough for such a humble home. With the decoration I aim to create a contemporary, gentlemen’s club feel, emphasised by moorland shades and moody lighting. Given the shelves will be dominated by books celebrating plants, flowers and gardening, I am also endeavouring to give the decorative scheme a botanical slant. 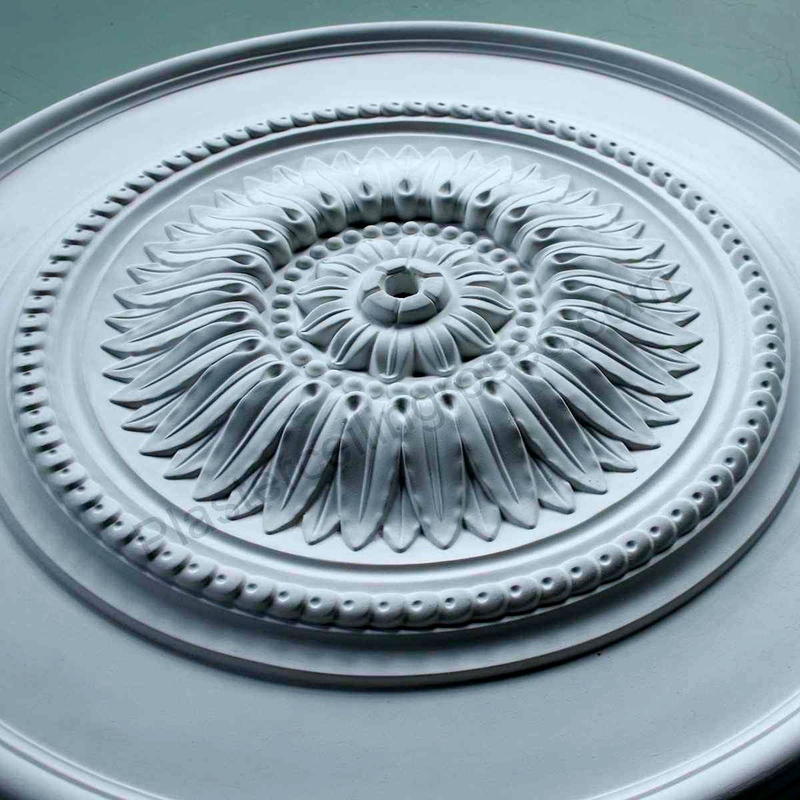 We have chosen large ceiling roses with dramatic sunflowers at the centre, a design popular in the Victorian and Edwardian era. Hanging from these, smoked-glass chandeliers will one day cast a sophisticated light. In time there will be terrariums, botanical prints, reading tables and a stately grandfather clock. The latter will be essential in creating an atmosphere in which I can genuinely relax: I find nothing more soothing and reassuring than the ticking of a venerable timepiece. 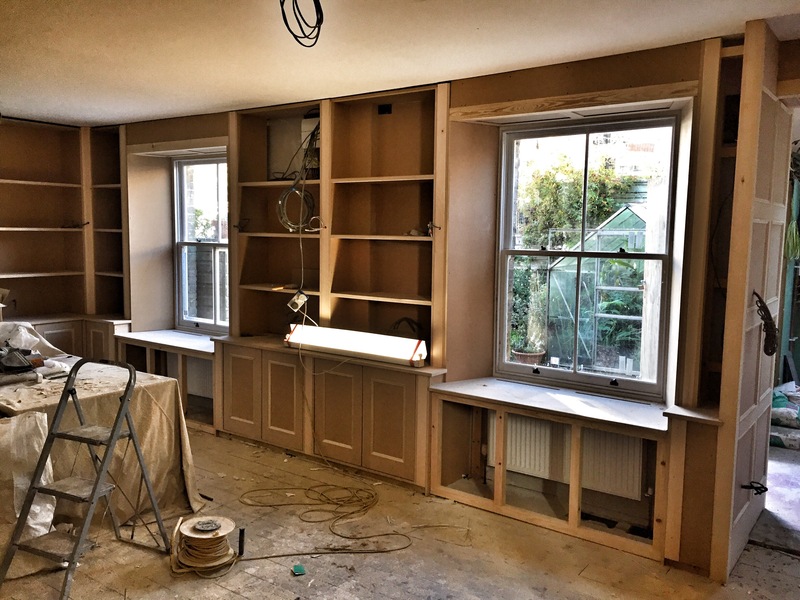 All the woodwork will be painted the same smoky, lavender-grey; a shade named ‘Erica’ by Paint & Paper Library. 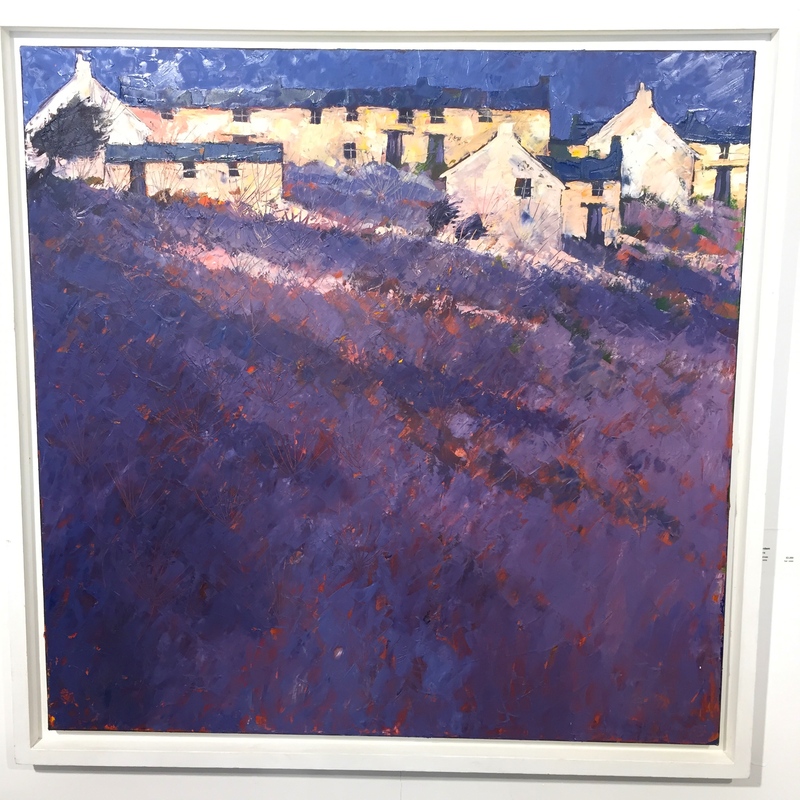 This unusual colour was inspired by a painting Him Indoors and I bought together eighteen months ago to celebrate the purchase of our new home, the work of Cornish landscape painter John Piper. We have another of his works, which blazes with the fiery colours of autumn, but this piece speaks of twilight in late summer, a composition of purples, mauves, terracottas and creamy whites. I could look at it for hours, if it were not under a dust sheet. In time there will be sofas and chairs upholstered in heather and bracken-coloured tweeds, which I hope will further emphasise John Piper’s wonderful palette. Friends and family keep telling me that the project will be worth it in the end, and of course I firmly believe that. However, I am not someone who relishes the prospect and process of ‘doing up’ a house. I want it all done and dusted so that I can enjoy it. Having everything as one wants it is great, but this takes time, energy and money, none of which I have in abundance. Then again, I guess one only builds a library once, so one may as well do it properly. This is a once in a lifetime job. Wise Woman Walking! Thank you. You are right, all the grief will be forgotten when it’s complete. Can’t wait for the day when I can post ‘finished’ photos. Good, I am not deluded then? Fantastic! Can’t wait to see it develop further. And by the way, I can’t speak for money or time, but if you don’t have an abundance of energy, no one does! All good, thanks. We’re still debating the size of house project we should take on, so useful for you to keep knocking sense into me! I’m already eyeing those shelves Candy, wondering if there are enough of them. There had better be! Thanks Jack 🙂 I’m so looking forward to Christmas! Are we doing a garden bloggers’ Christmas / New Year drinks? Cheers Bradley, I can’t wait to have it finished. I just need to be a bit more patient! I can picture it all, it’s going to look amazing. I’m looking forward to seeing your photos as you are to see it finished. I hope you are right Lynne! It already looks VERY NICE, Dan. I know it gets on your nerves and your patience is pushed to the limits, but the works will really be completed soon/-er or later 🙂 and you will be able to enjoy the library, the roaring fire, and a large glass of Madeira and of course your Christmas. Anyway, the most important thing is the people who you are spending time with at Christmas (Him Indoors among others ) … The place is important to but …you know 🙂 Be patient for some more time. I keep my fingers crossed and can’t wait to see the final effect when everything is done. Have a nice week. Thanks Paul. It’s been a frustrating project, but I am certain that will be forgotten in time. The good thing is that the transition between the old house and the new looks quite natural. You would not imagine they were originally separate houses, except from outside. Then again, there is no angle from which you can see the front and the back together! Hope all’s well with you? I’m happy you like it Peter. It’s a lovely colour when it’s painted on the wall. Not too lavender, not too grey, not too obvious. There’s going to a lot of it, so I have been living with ‘Erica’ for a while before taking the plunge! I feel your pain. We here at Madrona have just moved into our Kentish hall house, complete with oak panelled library – and boy, did it take a long time to finish! 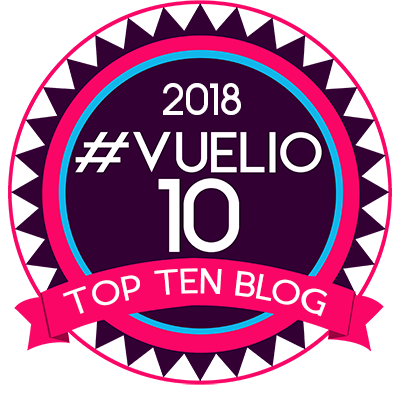 The whole house – 7 years! But I can assure you; it is definitely worth the wait. Come and have a look next time you’re over, and we can compare libraries. I’d like that Ylva, although I need no further excuse to visit your lovely nursery. I don’t think my MDF panelling is going to compare very favourably to your oak though 😉 7 years is a long time, but in reality these old houses are never actually ‘finished’ are they? That’s what makes them what they are. Oh la la! So enticing….you sitting in a chair? ?noooooo I doubt that will happen, as you will look out the window and see all the ‘jobs’ you should have done, need to do, forgot about until you sat down, on the other side of the window!! You are welcome any time Helen, especially as I know you’ll appreciate the books and the aperitifs. I may have to charge a small fee to the general public to pay for it if it takes much longer!! What a fabulous project, the bones of the library are looking great – brilliant idea to use a key painting for inspiration for the colour of paint/soft furnishing. Your above comment in reply to Helen made me smile … memories of the thrill of peeping into Vita’s hallowed space at Sissinghurst. Funny you should say that, but it’s probably Vita’s library at Sissinghurst that gave me the idea in the first place. I’ve always loved that transition between the brightly lit garden and the dim, dark room, which is part library, part study, part living room. Not at all Downton Abbey and much more intimate. If I can conjure up 10% of the atmosphere and dignity of Vita’s library I will be very happy indeed. As everyone above has said: it’s going to be amazing! While personally I prefer White, Scandinavian style, I love your idea of choosing a colour to match that gorgeous painting. I completely sympathize with you being annoyed, irritated, disillusioned etc. because work’s still not finished. I suppose the worst bit is having been told it would be ready in July and then, like the carrot on the stick in front of one’s nose, it drags on and on – always in sight but never within reach. If they’d said “by the end of the year” straight away, it would have been much more bearable. At least this is how I’d feel. But I remember my first reply to you here on the blog was a year ago – about the PROSPECT of you getting that library. See how far you’ve come! You can almost allocate books to those shelves already! Still, I hope you’ll be able to do that over the Christmas break for real – with the fire roaring and a few drops of something nice to go with it. Hmmm. I can’t see it myself, but that’s because I know what I am looking at. Never fear, those window seats are rock solid. They’d need to be to take my weight! 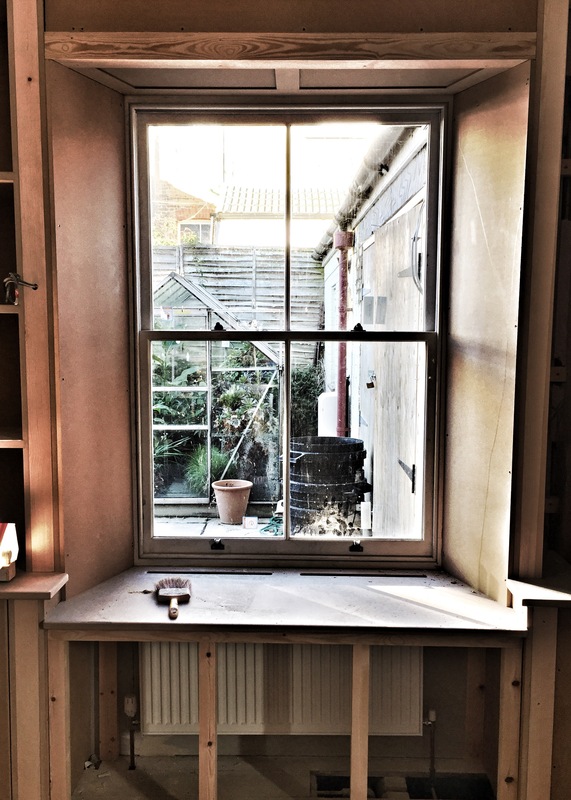 The sides of the windows will be panelled too, and the width is generous, including vents for the radiators underneath. That will make them hopeless for putting plants on, which is good. I do plan to have very generous window boxes outside, at least in the short term, probably full of herbs. You’d like upstairs, it’s a lot more Scandi! Hi Dan, have just now discovered your “botanical library” addition to the website. But I can’t find a comment box there yet, thus will do so here again. Boy, you’ve been busy! Love love love the idea and section as I’m hopelessly bibliophile myself, doing just that: compulsively buying books, in the vain hope that someday I’ll have the time to actually read all of them. For my birthday this year I had actually planned a solo-trip to all the second-hand bookshops on Charing Cross Road whilst the children were at school (and no-one could have told me off for I’d be allowed a treat or several on my birthday, no?). In the end, I was busy all day tending to a sick little one with a severe stomach bug and finishing the day with a trip to A&E (but all well after that). – That’s motherhood for you :-). Anyway, I digress. Funnily enough, the book I loved (and read) most in my childhood and one I still treasure today is also about plant hunting – or sort of: published in 1941 it’s about a natural scientist and his ten year-old daughter travelling to Madagascar on a voyage of discovery. And yes, of course I wanted to do that too. But back to your new library section on the web: Why restrict yourself to just five titles in each category?? After all, you’ve gone to the trouble of writing about (older) titles you like already when you’ll “update” with newer acquisitions. I’ve found several of my own favourites in your current list but also some I’ll need to track down now. My own encyclopedia of choice is the RHS A-Z Encyclopedia of Garden Plants, Editor in Chief Ch. Brickell – alphabetic listing of plants, lots of pictures and plenty of information. Actually, perhaps one day when the library is installed, you could add a list here on your website, uncommented, of ALL the books in it?? I’d be really curious – it’s always so fascinating learning what titles others have fallen for. And bound to provide inspiration for a spending spree of one’s own :-). Please also share with us how the decorating of your library is going – your plans sound exciting! Most of all: enjoy filling all those shelves! WOW. It really is looking worth the effort, Mr TT and I also fans of John Piper so I can envisage the colour scheme. Keep going, we also know what these projects take out of you, but it will be worth it. Alex is keen to buy another one at some point. I saw a beautiful John Piper in St Ives at Easter, but didn’t buy it as I was already trying to be sensible (not a behaviour that comes easily to me). Of course, I will now regret that decision. It was a lovely watery blue/green palette, quite unusual for him, and very soothing to look at. Perhaps when I am rich I can commission him to paint me something similar! It looks fabulous, the real works. We have commissioned bespoke furniture for the current bedroom project and it really does draw out the timescales, so my sympathies once again. But what I am finding is that such projects need to evolve. Countless meetings about little details only for the whole thing to go back to the drawing board when a further ‘old house’ complication presents itself. You will get there in the end and all the troubles along the way will rapidly fade into insignificance, especially when you can start to enjoy the result! Hope so. Actually, the carpenters have been a dream to work with. I only met them once. They took my plans and have just gotten on with it. They work 9-5, 5 days a week and make super progress. Thankfully that room was a neat, rectangular shell with no hidden surprises …. apart from a copy of the Daily Mail published in 1984, found inside the chimney, which would be regarded as so deeply sexist and racist that I almost blushed when I read it! How times change. Sounds lovely. Good luck with your project. It’s going to look wonderful in candlelight, especially with your Christmas decorations. Talking of which – I had a trip to John Lewis, Trafford Centre, recently. My daughter leaves me there while she looks at all the other shops. Wonderful Christmas decorations – every year!! I look forward to your finished photos. Looking absolutely wonderful Dan love the panelling and the bookshelves I am so envious as our shelves are at breaking point! What a coincidence…we too were debating whether to buy a John Piper last month when we were in St Ives at the New Craftsman gallery but couldn’t decide whether to go for the heathery coloured ones or the bracken gold ones…so we didn’t buy either….another time perhaps! It is going to be fabulous when it’s all finished and I am sure you will both love it! A lot of progress made in this last week, so I can almost imaging hanging our John Piper before Christmas. You should invest in one Anne. It’s going to be stunning! 🙂 As a veteran of two complete whole-house gut-and-remodels plus one from-the-ground-up build, I can definitely relate. As the saying goes, ‘Two weeks’ is one of those funny jokes that only contractors and builders understand! Too true. I have not heard that one before, but it’s spot on! Yes I should but which one…?!! Yellows and oranges beneath sky blue are classic. Yes but I like the purple toned one too….decisions, decisions…!